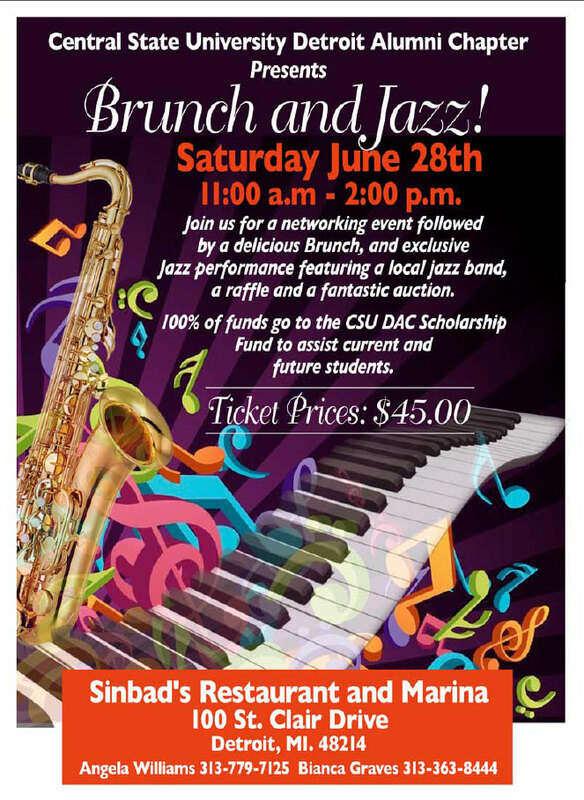 Join Us for a Networking Event with 100% of the proceeds going to the CSU DAC Scholarship Fund to assist current and future Detroit Central State Students. For your Convience, Purchase Your Tickets to the Jazz Brunch Online. Just show your ID the Day of the Event to Redeem your Ticket. **Please Note: There will be a 4% convenience fee added to the Total Price.